Also, Lee really appreciated his involvement in sw and also things such as lord of the rings, so licensing issues shouldn't rear their head should they? If they were ever even a legitimate issue anyway..
Oh man yes I love Christopher Lee!! 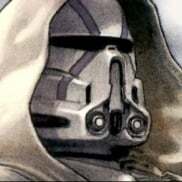 If they get the Clone Wars voice actors for the prequel heroes then boom it'll be good, except Grievous... I'm kinda split on either Clone Wars or Movie since they sound very different. Imagine appearing out of the shadows and saying that before you face off with someone. As long as they get Corey Burton, we're good. 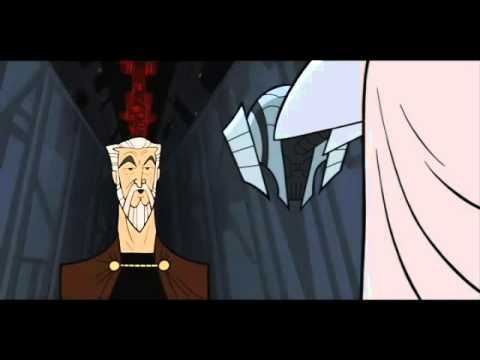 I haven't watched that cartoon in years except for the Grievous clips on youtube but wow Corey Burton sounds so much like Christopher Lee it's unreal! Christopher Lee (Dooku) and Peter Cushing (Grand Moff Tarkin) were best friends in real life. Imagine getting both Villains. That would be fantastic. To see them fight alongside each other. I think we can all agree on that. He actually wasn't weak in the film, Obi Wan was much better skilled at light saber combat but did still have to use force push and Grievous was about to kill him before Obi-wan resorted to using a gun. That's very true but I can't imagine anyone doing a better job. He really mimicked some unique qualities of his voice. "I've become more powerful than any Jedi, even you." "Brave, but foolish. You're impossibly outnumbered." "It's obvious this contest cannot be decided by our knowledge of the force, but by our skills with a lightsaber." "As you can see my Jedi powers are far beyond yours...Now...Back down." (When hurt) "this is just the beginning!" "Surly you can do better!" Does anyone know of any info regarding voice acting for the next game, or is it far too early? "I've become more powerful than any Jedi, even you." "I've been looking forward to this." "Brave, but foolish. You're impossibly outnumbered." "It's obvious this contest cannot be decided by our knowledge of the force, but by our skills with a lightsaber." Dooku was my favorite villain from the prequels. I loved that he was this fallen Jedi that was incredible with a lightsaber and could go 1v1 with Yoda. I also love that he wasn't so black and white, he was a villain but he wasn't flat out evil, he had cause behind his actions and was very intelligent, would absolutely love to play as him in this game. I'd also like it if he said, "your sword/s please, we don't want to make a mess of things..."
In front of The Chancellor.